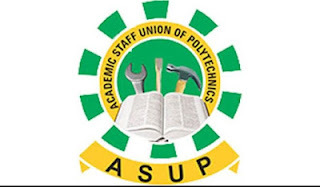 The Academic Staff Union of Polytechnics (ASUP) is expected to begin its indefinite nationwide strike today, Wednesday. 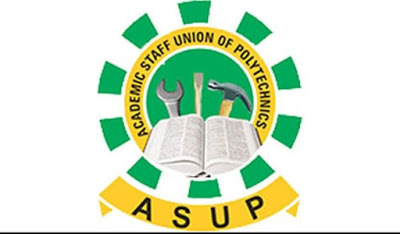 Usman Dutse, ASUP’s national president, on Tuesday, said the strike became necessary following the failure of the federal government to implement the 2009 and 2017 agreements reached with the union. “We are commencing our strike tomorrow (today) as scheduled. Everything is set and there is no going back. “There is an invitation for a meeting on December 17, but we will still commence our strike on Wednesday. “I don’t know what will happen at the meeting or what they have decided, but until we meet with them, we cannot predict. I don’t know what they plan to present until we meet with them,” Dutse told NAN. Dutse said the strike would be comprehensive and total until all issues raised were adequately addressed by the government. He listed the 10-point demands of the union to include: non-implementation of NEED ASSESSMENT reports of 2014, as agreed with the minister at the meeting of October 2017. “They are lack of seriousness in the renegotiation in the union’s 2010 agreement; non-release of arrears of CONTISS 15 migration for the lower cadre; non-release of arrears of promotions and shortfalls in personnel releases as well as non-payment of allowances. “Other agitations are non-payment of salaries in many state-owned polytechnics, non-payment of union check-off dues, pension deductions and other statutory deductions from staff salaries to the appropriate bodies, continue victimisation of union officers,” Dutse added.